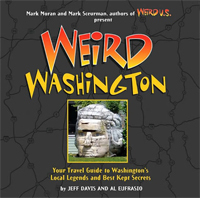 Some people think the derogatory name “Bughouse” came from the Northern State Hospital being built in Sedro-Woolley. The town was, after all, originally named “Bug” by its first settler, Mortimer Cook, thanks to the copious amounts of mosquitoes in the area. But it just isn’t so: the term was used in the 1800s, before the Northern State Hospital was built. 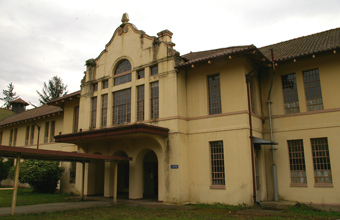 In 1909, Washington had two overcrowded asylums: Western State Hospital in Steilacoom, and Eastern State Hospital in Medical Lake, near Spokane. Rather then enlarging these asylums, the state decided to build a third. 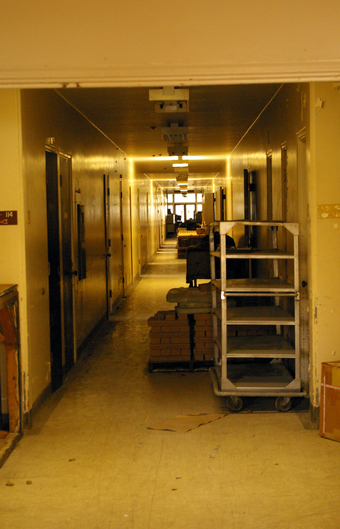 Several towns submitted proposals, seeing an insane asylum as a new source of jobs. Sedro-Woolley won the bid, and the first patients arrived at the new hospital in December 1912. At its height, the hospital housed over 2000 patients and employed 1000 people. It was amazing what kind of “illness” could land someone in Northern State. Men committed their post-menopausal wives when the women became “too excitable.” At least one man was committed because he had “religious mania.” There were other cases of orphaned children being committed for what today would likely been diagnosed as Attention Deficit Disorder. Many more were committed due to “imbecility,” or other learning disabilities. Perhaps a third of the inmates had conditions like senile dementia, manic depression, schizophrenia and other mental illnesses. Northern State Hospital treated their patients with occupational therapy, hoping that physical labor, like farming and felling timber, would aid in patient recovery. Many patients learned a trade for the day when they would be released. But the doctors also used many other techniques popular in the twentieth century to help cure mental illness, including electroshock therapy and lobotomy. Many patients were also sterilized, following the belief in the nineteenth and twentieth centuries that it was for their own good, as well as society’s. The hospital closed in 1973, and Washington converted part of the complex into a Job Corp facility and drug treatment center. Although they use some of the buildings, some have been torn down, and others are empty and deteriorating. The graveyard became overgrown, but in 2006 local citizens erected a monument to the forgotten dead there. While the dead may be at peace in the graveyard, some people believe the unquiet dead still walk the crumbling halls of the hospital. Several people have reported seeing a little girl walking around the old buildings, sometimes playing with a red ball. A man who never seems to find her follows. Other people claim to have seen a nurse in a certain building, pushing a man in a wheelchair. I thought I didn't get shite from Northern State … until I developed my infrared roll. Gulp! I used no lens filter and had the shutter open for approximately 10-15 seconds. It was at the end of the night and I was getting lazy about documenting how I took each photo. Plus running around that big place with all that equipment was cumbersome, anyway. I didn't think anyone was wearing shorts that night, so I double-checked at the [after ghost hunt] meeting. No one remembers anyone in shorts. It is clearly bare legs in what may either be a patient's gown or nurse's uniform. Also, someone in the group helped validate it a little more, since I had my shutter open more than 10 seconds. It couldn't be a real person or else it would be lots more blurry. And I’m 95% sure I took that pic without anyone there 'cuz it looked creepy as a long, lonely hallway, I probably wouldn't have taken it if someone was standing there already! Remember, the buildings at Northern State that were condemned were done so for a reason. Most of them are filled with debris and asbestos, and it can be dangerous to walk through them without an employee as a guide.